In these challenging times, teaching children to think critically and reflectively AND be compassionate, responsible and caring citizens at the same time is a tall order. Powerful Understanding explores effective ways to build social emotional skills and help students make connections, question what they read, and reflect on their learning as they develop into stronger readers and learners. Strategic and critical thinking strategies revolve around core anchor books that help integrate thinking into everything you teach—from social responsibility, to immigration, to life cycles. In these challenging times, teaching children to think critically and reflectively AND be compassionate, responsible and caring citizens at the same time is a tall order. 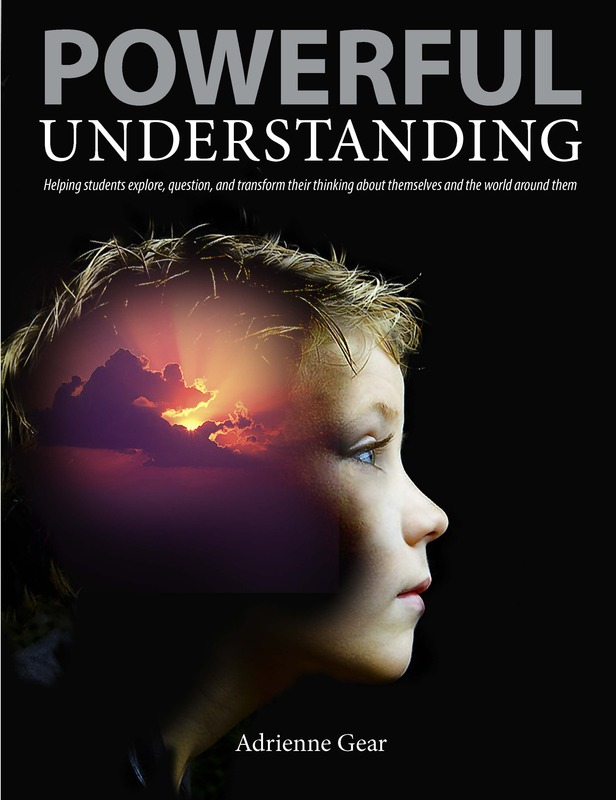 Powerful Understanding explores effective ways to build social emotional skills and help students make connections, question what they read, and reflect on their learning as they develop into stronger readers and learners. Strategic and critical thinking strategies revolve around core anchor books that help integrate thinking into everything you teach—from social responsibility, to immigration, to life cycles. This highly readable book includes a wealth of classroom examples and extensive hands-on activities designed to help students to think more deeply, learn more widely, and develop a more powerful understanding of what it means to be a responsible and compassionate person. Adrienne received her degrees from the University of British Columbia and spent three years teaching English in Japan. She was a classroom teacher for sixteen years and a teacher-librarian for three years. She is currently a literacy mentor at Vancouver School Board and a workshop presenter.